This is it! The final battle between The Dark Knight and The Clown Prince Of Crime. This one is for all the rupees! 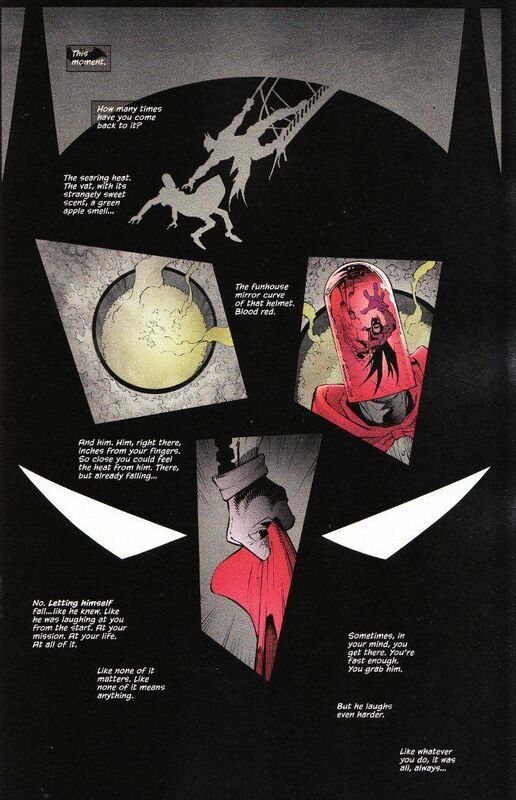 The soul of Gotham! Everything hangs in the balance and things will never be the same again! It's rather difficult to review this issue clinically and without spoilers. Having had the status quo of the Batman books post-Convergence spoiled for me, I am reluctant to do the same for others. Suffice it to say Scott Snyder writes a very satisfying conclusion to the current arc and writes one hell of a Batman vs. Joker fight scene. Let us leave it at that for now. Greg Capullo and David Miki do their usual stellar job on the artwork. What really makes this issue stand out, however, is the color art by FCO Plascencia. 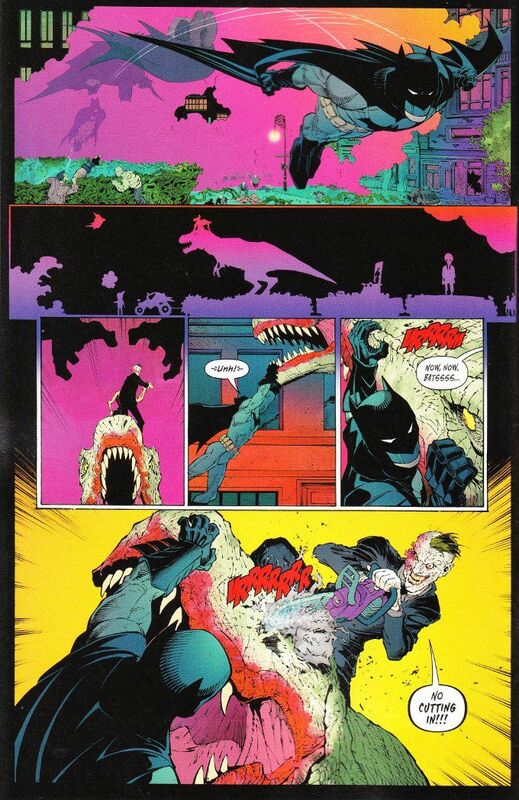 Vibrant, neon hues that would not look out of place in Joel Schumacher's vision of Gotham City help to visually punctuate the action of the issue in a surprisingly effective way.